The end of the year is almost near! 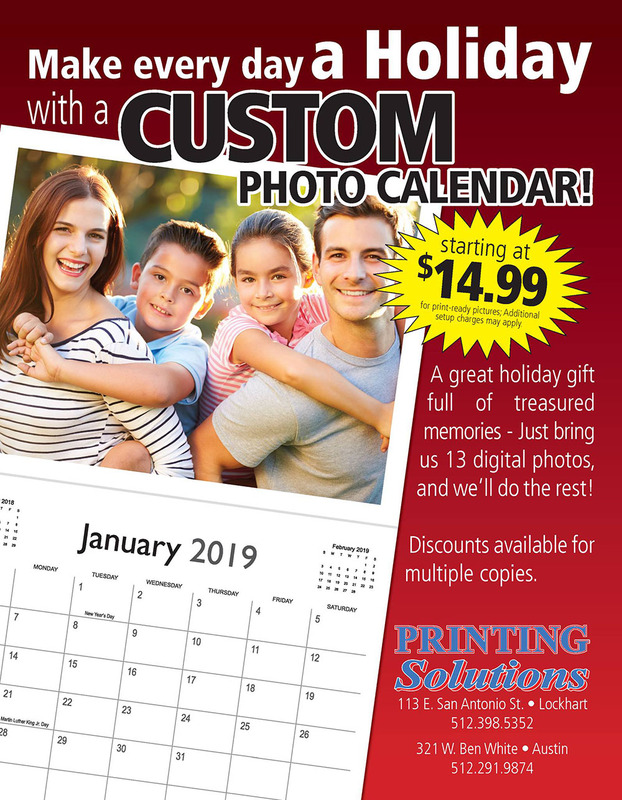 Don’t wait too long to get your calendar for 2019. Fully Customized Personal/Family and Corporate/Business calendars available!! 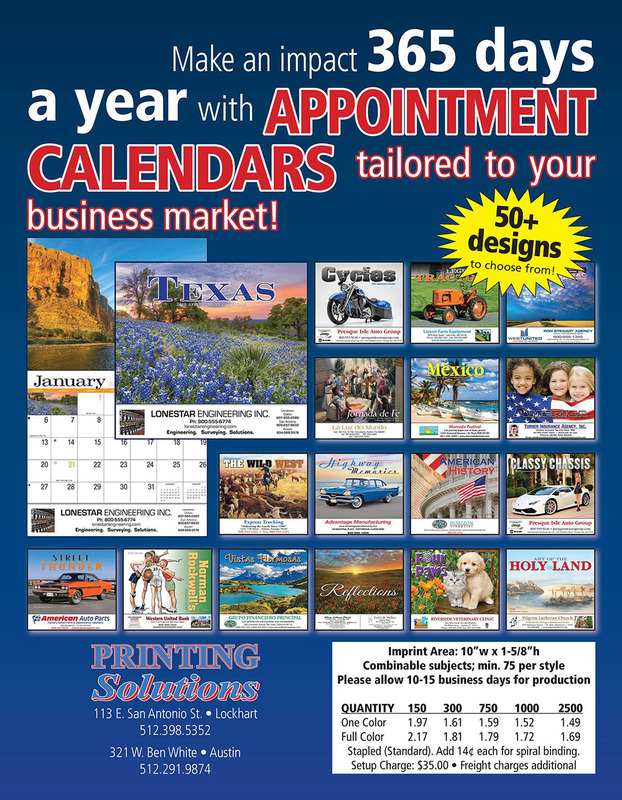 We can assist with setup, just bring your ideas and let our professional staff assist you get the best looking calendar hand made in Austin.